In Tanzania, children usually start school at the age of 5. School is divided into pre-primary for age 3-5. Primary school is from age 6-13 and secondary is from 14-17 years old. 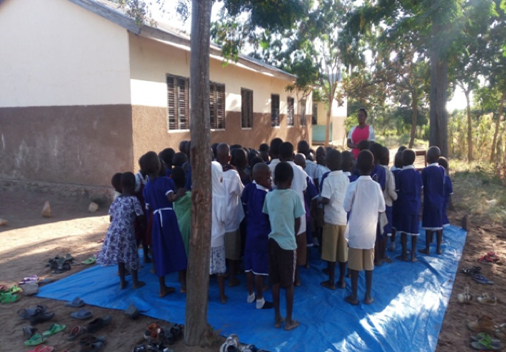 With Irish Aid’s support, Children in Crossfire works with the government, schools and communities in Ukerewe Island to improve the quality of learning for children. Ukerewe is an island on Lake Victoria, Tanzania. Lake Victoria is the same size as Ireland. Ukerewe Island is the largest inland island in Africa, with an area of about 530 km. It is actually made up of thirty-eight smaller islands. The approximate population of the Ukerewe is 350,000 according to the 2012 Census. People in Ukerewe are mainly fishermen and farmers. A very positive fact about the place is that it is humble and hospitable. People have made Ukerewe a relatively safe runaway place for African people with albinism, who in some areas of the country are at risk of being harmed by people who do not understand their condition. These people believe that people with albinism have magical powers, and therefore they are at risk of being captured. But on Ukerewe Island, they are safe. Galu and Magaka are among 21 schools that they support on Ukerewe Island. A year ago pre-primary students in these schools did not have access to a classroom. Head teachers in these schools thought it was more important for the older children in the school to have the classrooms. Therefore, the pre-primary children had to study and learn under the trees. Children in Crossfire held meetings with community leaders and the teachers to explore possibilities for pre-primary children to have access to a classroom. They all discussed the importance of a good education at this early age because this forms the foundation for future learning and will help build the students as informed and active citizens for the future. They also discussed the importance of young children learning key skills through having access to resources and play spaces. 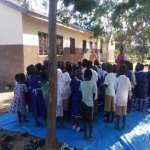 After discussions, the leaders and teachers of Magaka, Galu and other schools in Ukerewe have worked to improve the learning environment for the young children. They have worked to provide classrooms especially for pre-primary students, which are being painted and repaired. Parents are also encouraged to get involved and have been working with the schools to recycle and reuse local materials and resources to utilise these for learning materials. 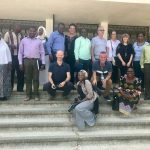 In June 2018, the Children in Crossfire team from Ireland made a special visit to its team in Tanzania. 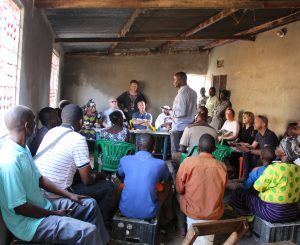 The Tanzania team are highly qualified to work directly with the people and communities on the island. They also work hard to build partnerships with other key organisations that work with young children in Tanzania. 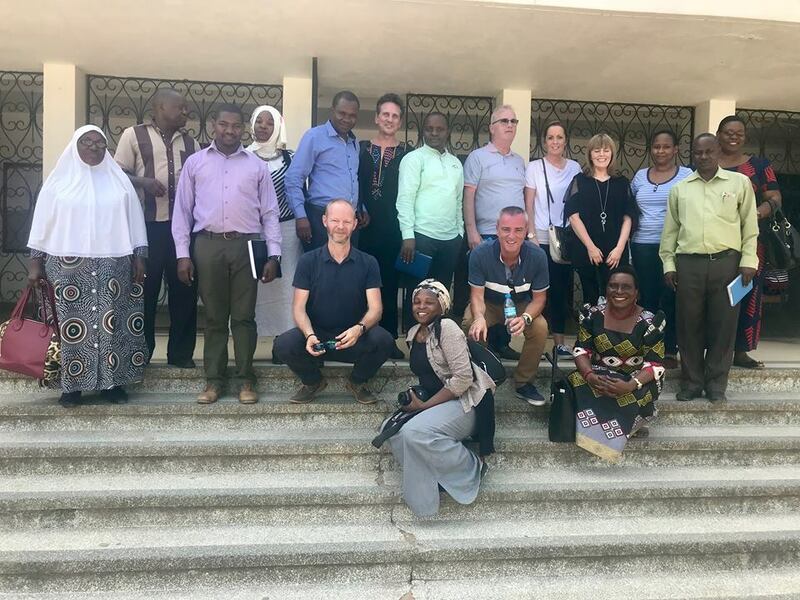 The team from Ireland were very excited when the Tanzanian team offered to take them to visit some of the schools at Ukerewe Island. 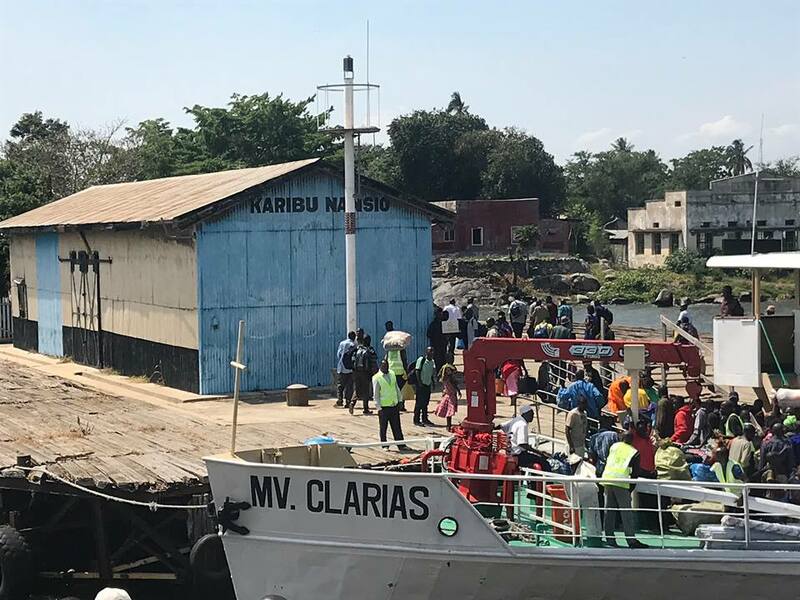 The team had to take a four-hour ferry ride across Lake Victoria, which was full of beautiful birds and scenic landscapes. 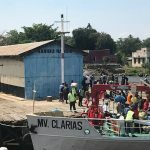 On arrival at the island, the team was introduced to the local government who welcomed them as visitors to the island. The team visited Galu primary school, where the teacher showed them a room being renovated for pre-primary students, who were only last year, studying under a tree. Because Children in Crossfire believes that every child deserves to have an opportunity to develop to its full potential, there are continuous efforts to ensure that the organisation can reach more communities, more schools and therefore more children in Tanzania overall.